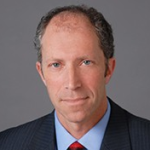 ​Marc Fagel is a partner in Gibson, Dunn & Crutcher’s San Francisco office. He is Co-Chair of the Firm’s Securities Enforcement Practice Group and a member of the White Collar Defense Practice Group. Mr. Fagel’s practice focuses on the representation of public companies and their officers and directors, as well as financial institutions, investment advisers, hedge funds, private equity firms, broker-dealers, accounting firms and others in investigations and examinations conducted by the Securities and Exchange Commission, as well as by the Department of Justice, FINRA, and other regulatory bodies. Mr. Fagel also conducts internal investigations and represents clients in related civil actions. Prior to joining the Firm, Mr. Fagel spent over 15 years with the SEC’s San Francisco Regional Office, most recently serving as Regional Director from 2008 to 2013. In his role as Regional Director, he was responsible for administering the SEC’s enforcement and examination programs for Northern California, Washington, Oregon, Alaska, Montana and Idaho, managing a staff of more than 100 lawyers, accountants, and other professionals. Before his appointment as Regional Director, Mr. Fagel served as Associate Regional Director in charge of enforcement. While at the SEC, Mr. Fagel conducted, supervised and oversaw hundreds of investigations in nearly every major subject area of the SEC’s enforcement program, including public company disclosure and reporting; the Foreign Corrupt Practices Act (FCPA); insider trading; and investigations of major financial institutions, investment advisors, hedge funds and broker-dealers. He was at the forefront of the SEC’s initiative on stock option backdating and oversaw some of the largest securities fraud cases filed in the Pacific Northwest. Before joining the SEC, Mr. Fagel spent six years as an associate at a large national law firm, where he specialized in representing technology companies and their officers and directors in securities fraud class action litigation. Mr. Fagel received his undergraduate degree from Princeton University and graduated in 1991 with Honors from the University of Chicago Law School, Order of the Coif. Mr. Fagel currently serves on the Board of Directors of Jewish Family and Children’s Services of San Francisco and the Law Center to Prevent Gun Violence, as well as the Board of Advisors of the SEC Historical Society. Copyright © 2019 Securities Enforcement Forum West 2019. Powered by WordPress and Hybrid.